If you have ever wanted to start a business, we can help you get started. We offer a variety of services. We also offer as needed and Outside General Counsel services. These types of business are designed to protect your personal assets in the event you are sued or fall into bankruptcy, etc..
We can help you get started in the business of your choice. Services range from drafting legal documents for the D.C. Office of Corporations to drafting your internal operating agreement, to drafting an employee handbook and more. ​as well assisting with various Permit issues. Aside from being sued by a client or customer, a businesses' biggest concern is compliance. It is not always easy for a business to stay in compliance with the state and federal laws. Not paying bills due to a cash flow shortage can lead to a business being sued. When the client that the business is supposed to pay is the IRS, well things can get really" taxing." When businesses don't pay their taxes or don't pay enough taxes for their business or employees the IRS may get involved. The last place you want to be is in an audit before the IRS ,or even worse, having to go to Tax Court. At Apex we can help you navigate the D.C. and Federal tax system. If you find yourself dealing with a tax authority, we would advise you to contact a lawyer immediately. The government always responds differently when you are represented by counsel. Employees have rights. Many of their rights come from state and federal laws. However, when things go bad on the job, one of the best ways for an employer to try to minimize damage is to have an employee Handbook/Agreement. Every business is different so you want a Handbook/Agreement tailored to your business. When things go wrong on the job, the employer will need all the protection it can get, and it may be too late after the employee has hired a lawyer, or filed a complaint with U.S. Equal Employment Opportunity Commission and/or The D.C. Office of Human Rights. Employees have all sorts of laws on their side today. Doesn't it make sense for you to have a good Handbook to help minimize the damage when things go wrong...and trust me, sooner or later, they will. Provide counsel, advice and representation to the client in all of its legal and business affairs, upon request of the client. Review various client corporate documents to determine adequacy and legal compliance, including, without limitation, client’s governing documents (e.g., its articles of incorporation and bylaws) and the client’s employment and human resources records and policies, and prepare a report to the client with analysis of the review. Attend client Board of Director meetings, other board and committee meetings, and executive sessions on request of the client and provide advice as necessary. Provide legal advice, written legal opinions, and consultation on all matters affecting the client and other appropriate officers and employees of the client, in accordance with such policies and procedures as may be established by the client from time to time, on matters regarding the routine and day-to-day issues and matters that the client may encounter, including matters relating to corporate, employment and human resources issues, non-competition and confidentiality issues regarding current and former employees, basic contract or document review and advice, problem solving, litigation prevention and negotiation. Be available for telephone consultation with client staff, as needed on legal matters which are within their area of operation. Prepare or review necessary legal documents such as; meeting minutes and resolutions; all agreements of any nature; all real property instruments of any nature including purchase agreements and escrows, leases, covenants, deeds, easements and licenses; memorandums of understanding; employment policies; operational policies and procedures; and all similar documents, all as requested by the client. Monitor pending and current legislation and case law as appropriate, and advise client accordingly. Supervise outside legal services, auditors, investigators and other professional services, if any. Outside General Counsel representations are billed monthly on a fixed fee basis (in advance) or on a blended hourly rate. 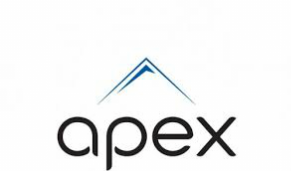 The fee is mutually agreed to after a thorough review of your organization and its needs and reviewed periodically to ensure that the arrangement is fair to both the client and to Apex, its lawyers and financial consultants..